In 2015 more than 2,500 people from all over the west and northwest of Ireland availed of our services. We had 7,112 visits to our Galway Cancer Support Centre provided 8,568 bed nights to cancer patients and their family members at Inis Aoibhinn. Cancer Care West relies on income raised through fundraising and donations to support our services. Our income and spending is set out each year in our Annual Report and Accounts which are independently audited. 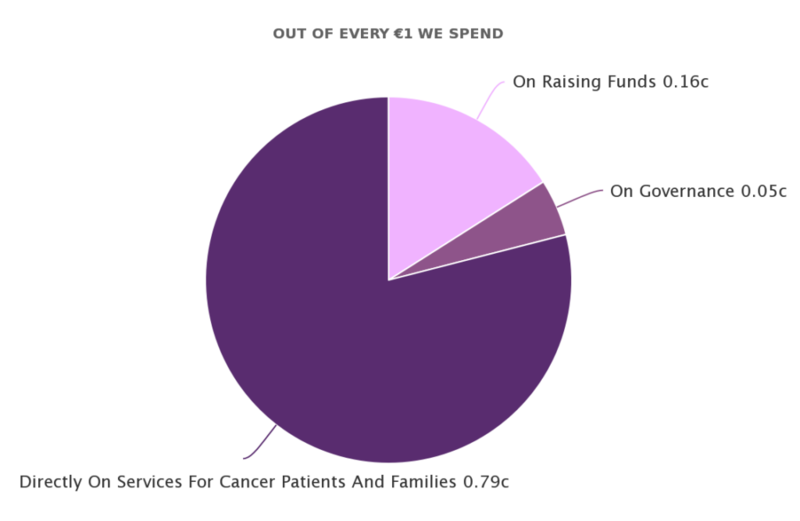 79 cent out of every euro raised is spent directly on our work with cancer patients and their loved ones.